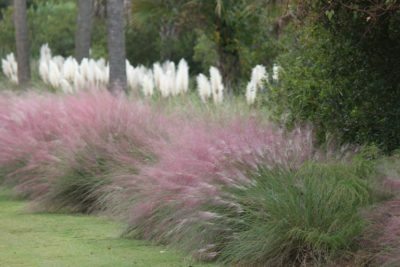 Ornamental grasses provide many attractive functions in the garden. Most are extremely adaptable and produce seductive sound in gentle breezes combined with elegant motion. They are also generally low maintenance and suffer few pest problems. Shady ornamental grasses have traditionally been difficult to find, as many of the commercial offerings are geared towards sun locations. New releases and a clamor from gardeners have seen the options increase in recent years, with numerous lovely ornamental grass for shade available. Those dark, shady areas of the garden are often difficult to populate with exciting plant specimens. It is a common problem and one that horticulturalists and growers have worked hard to solve. Enter shade loving ornamental grass. Today’s garden centers have a wide variety of low growing or tall, statuesque specimens that thrive in low light. Selecting a variety that suits your shade garden specifications has never been easier. Choosing an ornamental grass for shade should start with evaluating the other site conditions. Is the area dry, boggy, heavy clay, rocky? What is the soil pH and does the soil need conditioning? Most gardeners have a good gauge on their garden issues and can vet the area’s issues quickly. Other considerations might be what, if any, lighting gets into the location. Is it partially shady during some of the day, or fully dark all day long? Some plants can adapt to a bit of sun during the day while other grasses will become sunburnt. In the hot southern regions, even full sun grasses benefit from shade during the brightest part of the day. Once site considerations have been accommodated, the size and growth habit of the plant are the next thing to take into account. Many grasses perform well in either partial or full sun. Partial shade often means the shade is during just part of the day or it can be a dappled light area. Some good selections might be Japanese forest grass or sedge plants. These all need moist soil to thrive but can withstand either full or partial light locations. Full shade locations can look dreary and benefit from plant selections that brighten the area with variegation or warm colors. Golden lilyturf is a stellar performer in both full shade and partial shade locations. Mondo grasses are delicate little plants that make excellent borders or mass plantings and can be used as ground cover in shade locations.